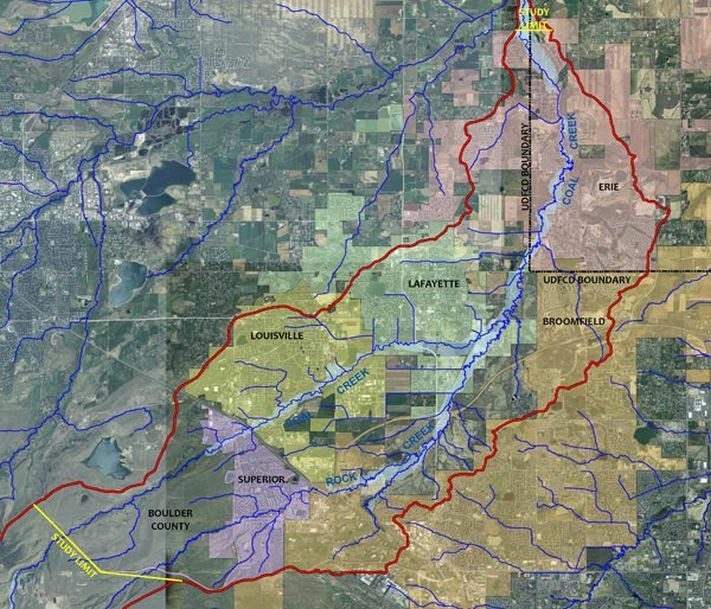 The Urban Drainage and Flood Control District (UDFCD) performed a Major Drainageway and Planning Study and Flood Hazard Area Delineation services for Coal Creek and Rock Creek. The analysis covers a 54-square-mile area stretching from Colo. 128 in Superior to the northern limits of Erie. The purpose of the study was to analyze the floodplains along 40 stream-side miles of both creeks and create a comprehensive plan that provides recommended improvements to bridges and other structures in the drainageway. Coal Creek and Rock Creek Drainageway Master Plan – Due to an extremely large overall file size, this document has been broken into smaller files to aid in downloading.